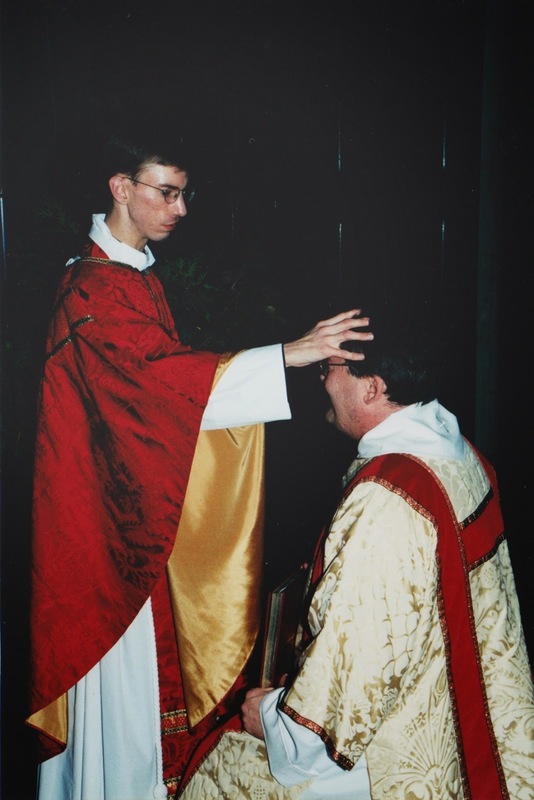 Today's the 14th anniversary of my ordination to the priesthood. You wouldn't know that unless I told you since no one keeps track of this stuff other than the person upon whose head the bishop laid hands and invoked the Holy Spirit. If you have a lot of clergy friends on social media you've likely seen a number of these announcements. Typically, people are priested in December or January after graduating from seminary in June and spending six months as a (transitional) deacon. Sharing this information -- and I've done it in the past when I've "just realized today's the anniversary of my ordination" -- always feels a bit awkward. Like the football player who crosses the goal line or makes a big defensive play and then preens for the crowd and thumps his chest. "Let's see how many likes I can get for my priesthood! Affirm me, people! Now!" I guess there is a parallel here because the priesthood, like football, is a team sport, not an individual one. You may not know this but for a priest, celebrating the eucharist is kind of like a super power that is dependent upon other people. A priest can't say the Great Thanksgiving unless at least one other person is present. Well, we can but the bread and wine would simply remain bread and wine. We need the congregation to participate in the process of consecration and blessing. So the community gathered is an integral piece of both the liturgy and a priest's vocational life. 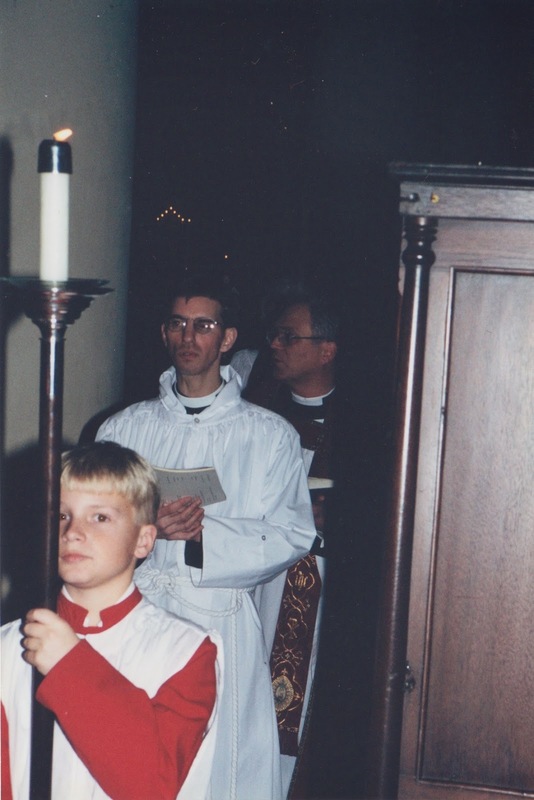 I still remember the moment I was made a priest in God's one, holy, catholic, and apostolic church. I'm not sure how else to describe it but something changed as the bishop and a bunch of other priests laid hands on me at the parish where I served as curate, Old St. Paul's in downtown Baltimore, on December 9, 2000. But I do know several things had already gone awry that day. The Bishop of Maryland, the Right Rev. Bob Ihloff, got sick and had to send the suffragan bishop, the Rt. Rev. John Rabb, to do the ordination at the last minute. almost couldn't make it until an angel of mercy in the form of my rector David Cobb's teenage daughter Emily came to the rescue to babysit. Speaking of Bryna, she was six months pregnant with Zak. In a strangely prophetic (?) maneuver I managed to lose my voice to laryngitis. David, naturally, compared this scenario to Zechariah, the priest struck dumb by the Archangel Gabriel at his disbelief that his wife would give birth to John the Baptist. A good friend who was scheduled to do a reading and was driving in from out of town had his car break down that day and never made it to the service. All of which is to say that rarely do things go as planned in priesthood and in life. I couldn't imagine doing anything else other than serving God's people at the altar. Yes, the title of the classic book on the priesthood resonates: "The Impossible Vocation." But it continues to be a joyful journey and a privilege to share the Good News of Jesus Christ for a living. Here's to another 14 years! Well, actually another 16 since that's when the Pension Fund kicks in. St. John the Divine, NYC in December..
Hard now to see that number ordained in one year in one diocese. Why am I not at all surprised by the snafuish details of your ordination? 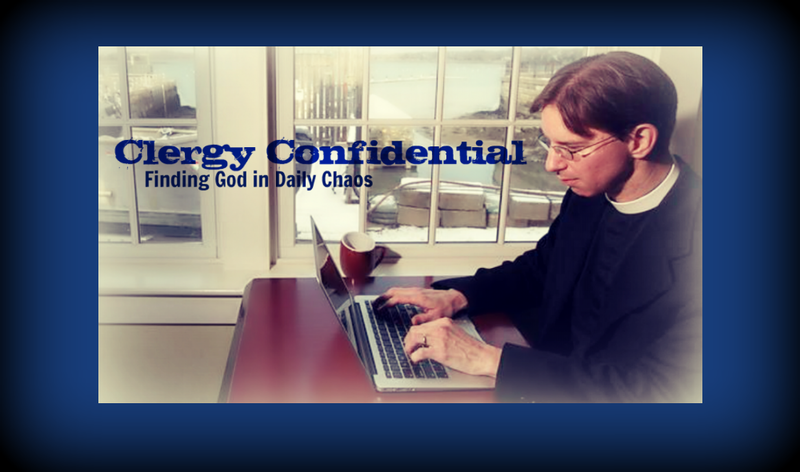 God graced you with great blog fodder, that's for sure. Mazel tov and blessings!